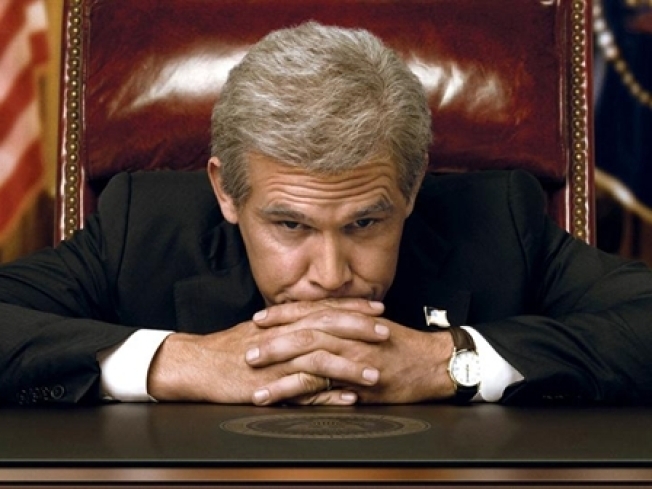 Josh Brolin as George W. Bush. The actor was nominated for an Academy Award for his role in "Milk." Josh Brolin has played an air headed president, a Wrangler wearing cowboy, a crooked cop and a goonie over the years. But it was the actors portrayal of former San Francisco Supervisor Dan White, the man who killed Mayor George Moscone and Supervisor Harvey Milk, that got the actor an Oscar nomination. We use the opportunity to take a look at Brolin through the years and his development into an Academy Award nominee actor. Pay attention aspiring actors, maybe you can learn a thing or two. Josh Brolin Reacts to Oscar Nomination for "Milk"
Josh Brolin on "No Country From Old Men"and "American Gangster"
Josh Brolin in "Bad Company"